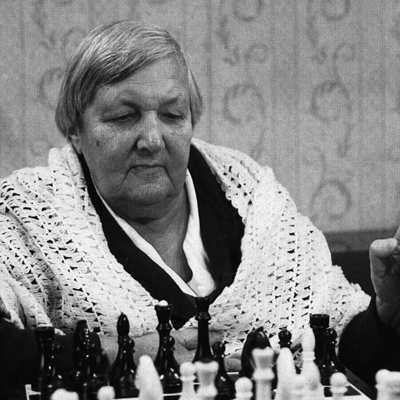 Born in Lubny, Ukraine, Lyudmila Rudenko started playing chess at age ten, but did not seriously study the game until a move to Moscow in 1925. Her first major competition was the 1927 U.S.S.R. Women’s Chess Championship, in which she placed fifth. The following year, she won the Moscow Women’s Championship ahead of reigning U.S.S.R. Women’s Champion, Olga Rubtsova. 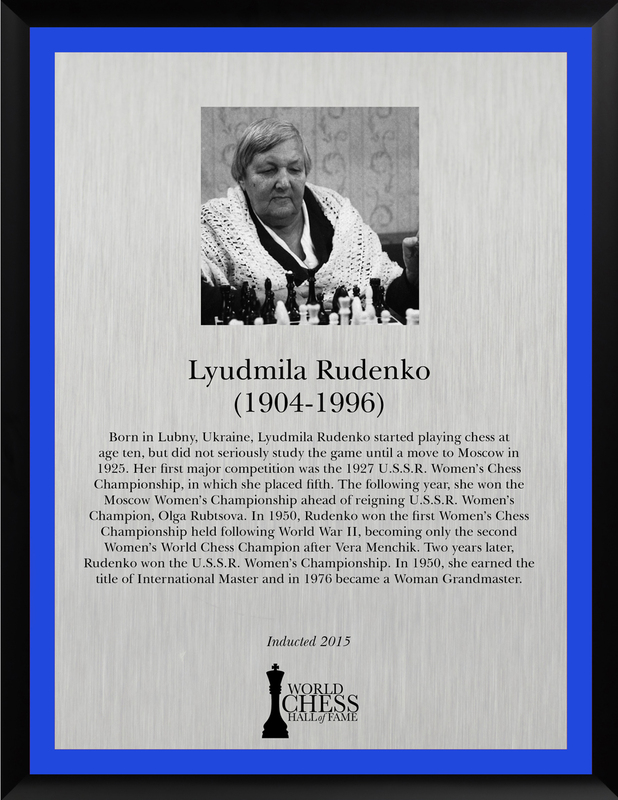 In 1950, Rudenko won the first Women’s Chess Championship held following World War II, becoming only the second Women’s World Chess Champion after Vera Menchik. Two years later, Rudenko won the U.S.S.R. Women’s Championship. In 1950, she earned the title of International Master and in 1976 became a Woman Grandmaster. 7/28/18: The Independent — Lyudmila Rudenko: Who was the Soviet chess champion and why was she influential? Get Connected Receive news about our collection, exhibitions, events, and more.